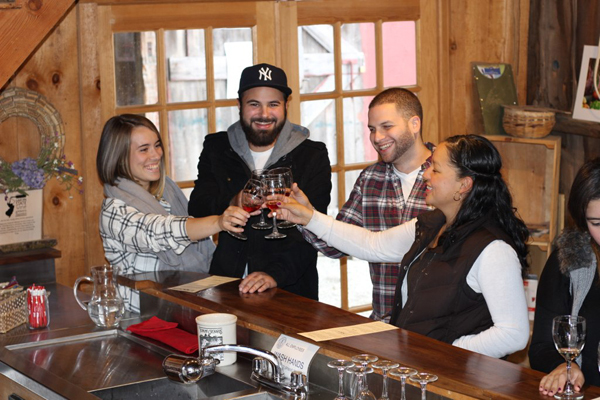 Terhune Orchards Vineyard and Winery will join other wineries across the state for the Garden State Wine Growers Association’s weekend of wine and chocolate. On Valentine’s Day weekend, Sat. 2/13 and Sun. 2/14 from 12- 5 p.m. visit the tasting room for a special tasting event. Bring your Valentine or come with your favorite wine loving friends to sample Terhune’s award winning wines in their 160 year old barn. After a fun afternoon of sampling, take home a bottle of your favorite. For this weekend, they are also offering a special wine and chocolate pairing with Carol’s Creative Chocolatez, a local artisan chocolate maker specializing in high quality single-origin chocolates. This special event will include a tasting of five wines paired with Carol’s chocolates and a souvenir glass for $15. Terhune Orchard’s bakery will also be creating an assortment of homemade chocolate treats for the weekend. Have fun trying them all! Catch up with friends by the fire pit outside the winery. Inside at the cozy wine bar, enjoy over 12 varieties including red, white and fruit based wines by the glass or as a tasting flight. Be sure to check out the progress of the new winery production barn being built next to the tasting room. Later in the season, visitors will be able to view the wines being produced. This is exciting progress not only for Terhune Orchards Vineyard and Winery, but for the wine industry in the state, as well. Consumer Interest in locally produced wines continues to grow each year. In 2006, Gary Mount and daughter, Tannwen Mount planted 4.5 acres of grapes to begin Terhune Orchard Winery. In 2010 the grapes were ready to be bottled. The vineyard has now expanded to nine acres. This new facility will enable the winery to keep up with growing demands. Terhune Orchards is located at 330 Cold Soil Rd. The farm store is open daily 9 a.m. – 6 p.m. 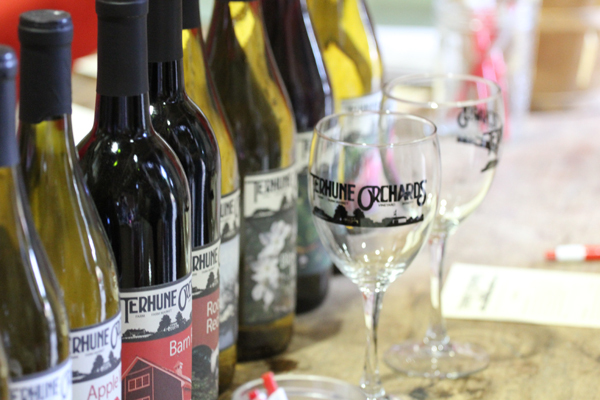 The winery is open Friday – Sunday 12 p.m. – 5 p.m. Find them online at terhuneorchards.com, Facebook, Twitter and Instagram.